In the wake of the Opal Tower evacuation, Engineers Australia has urged the NSW Government to adopt recommendations from a national review of compliance systems in the construction industry. Engineers Australia National Manager for Public Affairs Jonathan Russell told create he recently met with NSW minister for regulation’s Matt Kean’s staff to encourage them to “get on board” with the recommendations of the Building Ministers Forum’s Building Confidence report. In particular, he stressed the recommendation to establish mandatory registration for key construction practitioners including engineers. “Our message for them was to start action [on registration for engineers] quickly, because we don’t want to be left behind. Action together now means that the system will be truly harmonised and has a better chance of being effective,” Russell explained. The authors of the Building Confidence report believe the nature and extent of problems with national building compliance and enforcement systems are “significant and concerning”. “They are likely to undermine public trust in the health and safety of buildings if they are not addressed in a comprehensive manner,” stated Professor Peter Shergold and Bronwyn Weir in the document, released last April. The interim investigation report for Opal Tower has not yet made definitive findings about the cause of cracking in the building, but did recommend that “independent and qualified” structural engineers should check the original design engineering firm’s proposals for defect rectification before they are carried out. Problems with the NSW building certification system, and resulting defects, have been a known issue for several years. In 2012, a fire in a Bankstown apartment building without sprinkler systems claimed the life of a young student and prompted a review of the NSW Building Professionals Act. The final report into the review was completed in 2015 by former state Treasury Secretary Michael Lambert, who recently expressed his frustration that the majority of recommendations haven’t been implemented. “It’s been three years. The fire safety issue was a time bomb so they did something on that, but they haven’t implemented the rest of the report,” Lambert told the Guardian. While the NSW Government doesn’t systematically collect data on the number of building defects, Lambert found “the incidence of building defects is significant and the incidence appears higher in NSW than in the balance of Australia”. This is backed up by a 2012 UNSW study that found 72 per cent of NSW strata owners surveyed knew of a significant building defect. This proportion increased to 85 per cent for buildings completed since 2000. Last January, Fair Trading NSW introduced a requirement for developers to lodge a bond equal to 2 per cent of building contract costs to cover the repair of any defects found during the final inspection. However, structural engineering consultant Charles Rickard, who has been lobbying government to reform the state’s building certification system for the past six years, said cracking down on ‘dodgy certifiers’ will not address systemic problems. “Nobody understands the difference between a Principal Certifying Authority and an accredited certifier who certifies the work,” Rickard explained, adding that because there is no mandatory requirement, builders don’t want to pay for accredited certifiers, including engineers, to inspect a site properly. Rickard emphasised there is potential for safety issues under the Design and Construct system, which places cost and schedule ahead of quality. Rickard said that certification issues are not confined to NSW. “But I think that people would accept that NSW is the worst, and people seem to think that Queensland is better than any other state,” he said. Queensland is the only state with mandatory registration for engineers. Russell said while he didn’t have data on the number of faults in Queensland compared to other states, mandatory registration gives Queensland authorities the ability to act when faults are found to ensure they don’t happen again. “No other state has this ability [with respect to engineers],” Russell added. Last May, Victoria introduced an Engineers Registration Bill to parliament, which Russell said was likely to be reintroduced in the next six months. 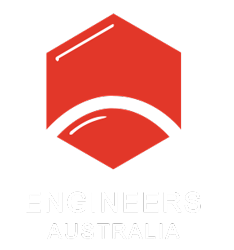 Victorian Chief Engineer Dr Collette Burke told create a registration system would ensure that assessment and registration of engineers is consistent. According to Russell, Shergold and Weir’s Building Confidence report details a program for reform for everyone involved in Australia’s building industry – including developers, builders and engineers. He said Engineers Australia encourages all state governments to implement its 24 recommendations. “If we can get NSW on board … that’s a third of the population that’s behind it, and if that extends through to the other states, there’s a critical mass there for having proper wholesale reform of the entire [national] building and construction sector, not just the certifier aspect of it, which is the main aspect of the Lambert report,” Russell explained.